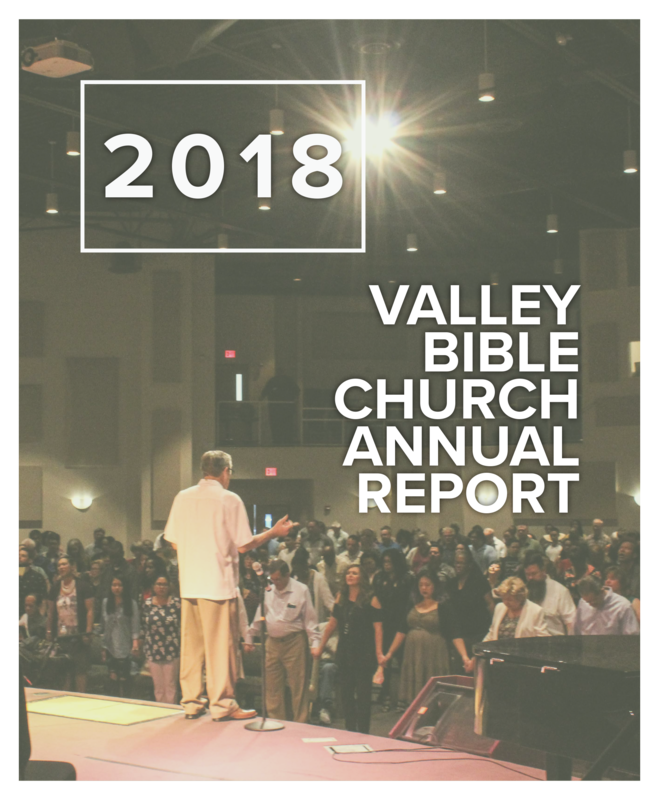 Valley Bible Church entered into its 47th year of ministry in 2018. This annual report provides an overview of this ministry’s operation during the year. Included in it are various financial statements, selected ministry reviews, comments from our Senior Pastor and Executive Pastor, and the 2019 Church Budget as approved by the Church Elders. This report is made available in accordance to our Church Constitution & Bylaws. Any inquires pertaining to the contents of this report may be submitted in writing to rhughes@valleybible.org.